It’s nearly Mothers day, and we’re celebra-tea-ing with a competition. We’re really excited to have teamed up with The TeaShed to give three lucky winners 100 bags of tea (yes you read that right…amazing), and a gorgeous Soak&Sleep Lambswool Throw and Pagoda Candle. So moving oolong (pun intended) it only seemed right that for this months ‘In Bed With…’ we got the full story from Jules, the brains behind these delicious brews…. You launched The TeaShed after working as tea-making intern and spotting a gap in the market. What makes The TeaShed different? The TeaShed only uses quality whole leaf tea in silky pyramid teabags. We design unique packaging (such as packing 20 teabags inside a paper cup so you can use the packaging to drink from) and focus on gifting as opposed to selling into supermarkets. 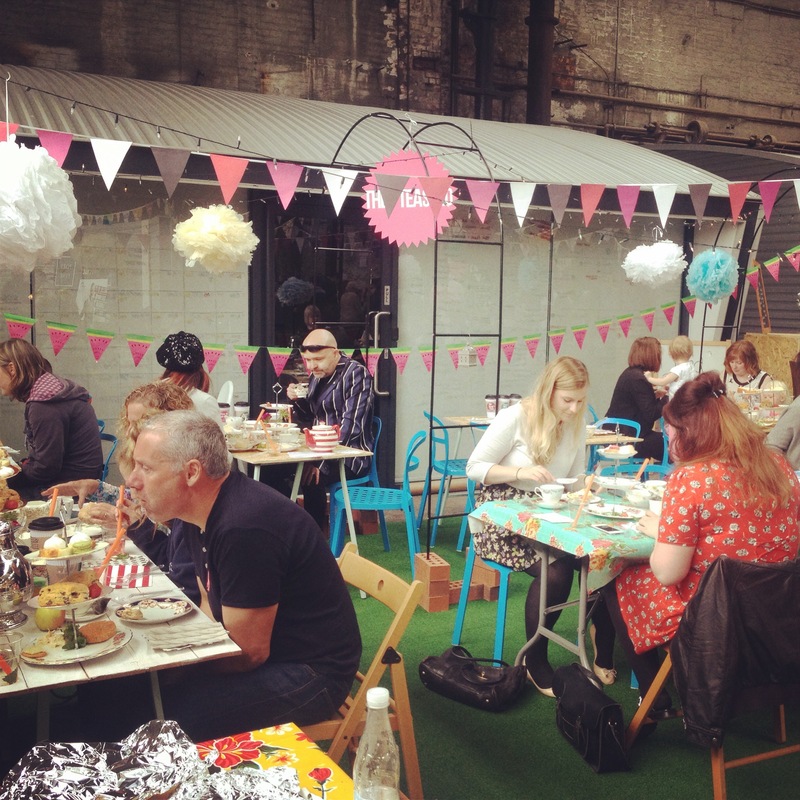 We put on events such as afternoon tea on the lawn, pop up tea bars and tea tents at festivals. The TeaShed is a very young and fresh tea brand. We’re renowned as a nation of tea lovers – what are your top tips for the best brewed tea? Use TeaShed tea! If making black tea, use boiling water and if green tea, wait about 45 seconds after the kettle has boiled before you pour it onto the tea. Avoid adding milk, which is much easier when you have a good quality tea. A hot bubbly bath with a nice cup of Proper Mint tea on an evening with your phone switched off. Stay away from caffeine late at night. I always switch to herbal teas after 3pm. Describe your own bedroom style in 3 words. Colourful, Snuggly and a little messy! With new international delivery and exotic blends of tea you must know a thing or two about keeping calm on the go. What is your travel essential? Cream – long haul flights always dry your skin out. Water – keep hydrated and stay off the alcohol! Ear plugs and an eye mask. A fully charged phone, laptop and iPad. Which tea would you choose for the perfect breakfast in bed? All Day Breakfast tea of course! Early night! Once I am awake, I am awake and like to make the most of daylight and people being up/at work! Appreciate what you have and be kind to yourself. Well there you have it! Do you fancy winning this prize? Then head over to our Facebook page to enter.